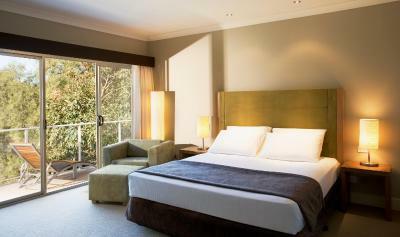 Lock in a great price for Crowne Plaza Hunter Valley – rated 8.5 by recent guests! The Staff were friendly and always helpful, breakfast choice was excellent. Our room had a lovely view of the pool, the pool was full of families during the day so we swam at night after dinner. Great location, good breakfast, staff were fantastic. Our rooms were generous sized with good, clean bathrooms. We did not have an outlook as a pool was either being built or renovated. We dined in both restaurants, breakfast which was included was good but the restaurant is very busy. The casual dining restaurant had a limited menu for me as I am an allergy sufferer. The fine dining restaurant had set priced dining which was expensive if you are a small eater. The staff in the restaurant were very helpful accommodating my dietary needs. The pool areas looked great, but we didn't use the pools as it was winter. 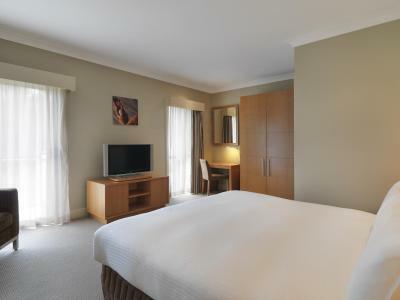 Crowne Plaza Hunter Valley This rating is a reflection of how the property compares to the industry standard when it comes to price, facilities and services available. It's based on a self-evaluation by the property. Use this rating to help choose your stay! One of our top picks in Lovedale.Surrounded by picturesque vineyards and rugged mountain ranges, Crowne Plaza Hunter Valley features 2 restaurants and 2 bars. Leisure facilities include tennis courts, a swimming pool and an 18-hole golf course. 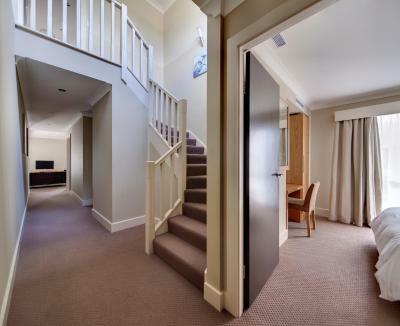 Hotel rooms offer views of surrounding rural landscape and Villas are nested within the properties 18 hole championship golf course and beautiful Hunter Valley pastoral scenery. Dine on succulent grilled dishes and fresh local produce in Redsalt Restaurant. Enjoy a light meal, live weekend entertainment and a range of cocktails, beers and wines in the Lovedale Bar and Restaurant. Play a game of tennis or a round of golf on the 18-hole course. Take a dip in the luxurious pool or work out in the well-equipped fitness center. Treat yourself to a soothing massage, manicure/pedicure or a hair appointment at the renovated Ubika Day Spa. Just 2 hours’ drive north of Sydney and ideally located on Wine Country Drive in Lovedale, the hotel offers easy access to local wineries and attractions. Hunter Valley Gardens is only 3.1 mi away. 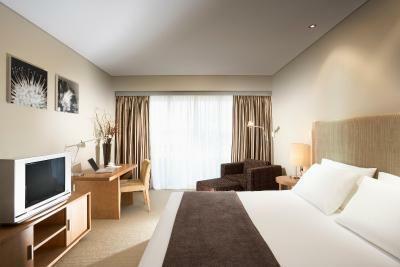 When would you like to stay at Crowne Plaza Hunter Valley? 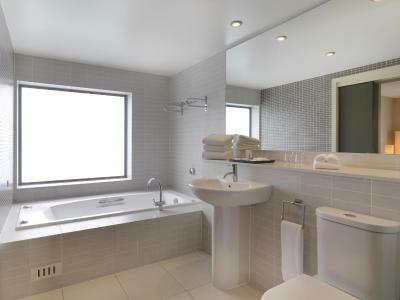 This room offers contemporary décor and a bathroom with a walk-in shower. You can unwind on your private balcony or courtyard. This room overlooks the beautiful landscape from its balcony. This villa offers a spacious living area, 2 bathrooms, and a kitchenette. Please note that partial housekeeping service is only offered for stays of more than 7 nights. This villa has a balcony, air conditioning and a flat-screen TV. Located just a short walk from the main resort, this room is located among the resort grounds so you can enjoy the rural surrounds. It offers convenient parking, a large TV, a work station, and modern furnishings. 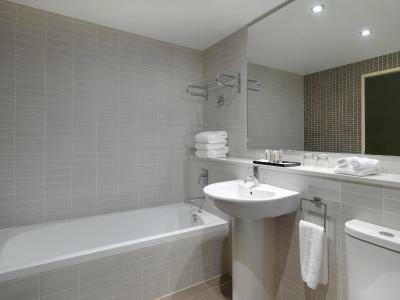 Please note that limited daily housekeeping is provided which involves emptying waste baskets and restocking towels. 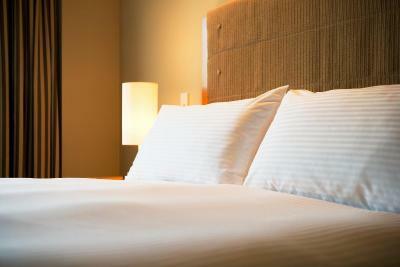 A full service is provided weekly which includes changing sheets. This modern villa offers scenic views of the resort grounds and surrounding vineyards. You can relax in the spacious living area which includes a kitchenette. The villa also features a private balcony or courtyard. This double room features air conditioning, mini-bar and cable TV. This twin room has air conditioning and cable TV. Less than 2 hours drive north of Sydney, surrounded by picturesque vineyards & its own golf course, this award winning hotel epitomises the best of hospitality in the Hunter Valley. The hotel is centrally located on Wine Country Drive & features a range of deluxe hotel & villa style 2 & 3 bedroom self-contained apartments, making it the perfect place for your next Hunter Escape. House Rules Crowne Plaza Hunter Valley takes special requests – add in the next step! Crowne Plaza Hunter Valley accepts these cards and reserves the right to temporarily hold an amount prior to arrival. Please note that a 1.5% surcharge applies for payments with credit card. Please note that a 3.5% surcharge applies for American Express and Diners Club credit cards. Please note that housekeeping service is only offered for stays of more than 7 nights if you are staying in a Villa room. 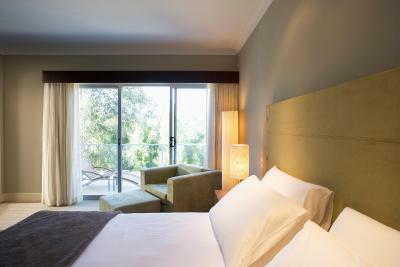 You can request housekeeping at a charge of AUD 55 per service. Please note rates including breakfast are for 2 guests only per reservation. Breakfast is available for AUD 39.50 per person for additional guests. Please note that housekeeping service is only offered for stays of more than 7 nights if you are staying in any of the Villa rooms. You can request housekeeping at a charge of AUD 55 per service. Please note rates including breakfast are for 2 guests only per reservation. Breakfast is available for AUD 39.50 per person for additional guests. The location of the property was perfect and the staff were extremely helpful and friendly. 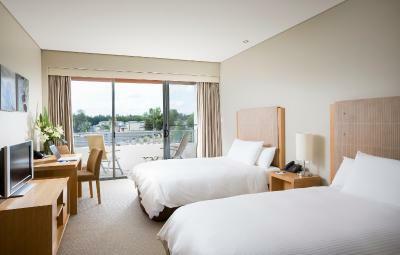 We will definitely be coming back to the Crowne Plaza so that we can utilise the rest of the facilities. Very friendly staff and great facilities. Having stayed here for a 40th Wedding Anniversary we were treated exceptionally well and gifted a few things to help us celebrate. Greatly appreciative of your kindness. We will definitely be returning. The bed was comfortable and the pillows were fantastic! The breakfast was also amazing! Sauna was not operating....was excites to use sauna but to no avail. Not enough staff at reception. There was only one staff working ..when was my turn I was told the system was down....not good enough for a large hotel chain. The only thing that I didn't like was that the breakfast place did not have enough room. I had to keep saying "excuse me" to get pass the other customers who were in the queue for toast. One solution for this is to move the bread to another corner so that we have more room to choose food. Amazing. had lot of fun. Comfy and clean. exceptionally friendly and efficient staffs. Pool was great and beautiful. Yummy pizza and beer in the bar. Warm breakfast is tasty and cook to serve egg was very accommodating. We went there during peak time so it was expensive. However, we get value back from the service and the free alcoholic drinks from the friendly receptionists. Amazing breakfast - well worth signing up to become a member and getting it a little cheaper too. information beside the phone tried to call reception no answer from unit phone ? ?